I’m very pleased to say that my new book, Managing for Change, is now available, in paperback and ebook formats. 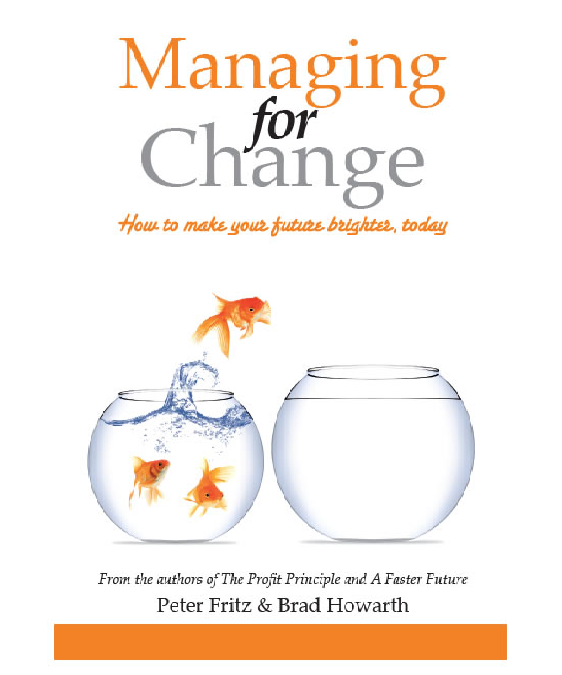 Co-authored with with Peter Fritz AM, Managing for Change sets out practical advice to help people get more out of life, personally and professionally. The book is the product of numerous discussions between myself and Peter, as well as contributions from numerous people who have been successful in their own lives, including entrepreneurs, public servants, and politicians. Other contributors include HEAT Group CEO Gillian Franklin, Pollenizer co-founder Mick Liubinskas, former Australian Privacy Commissioner Malcolm Crompton, young federal parliamentarian Wyatt Roy and investor Su-Ming Wong. While the book is very much a joint effort between myself and Peter, my own path to Managing for Change came about partly as a result of my public speaking work, particularly those presentations related to the impact of technology which flowed from my last book, A Faster Future. While it is not difficult to alert people to the changes that are happening around them, it is much harder for someone to assimilate that knowledge into their lives and do something about it. Managing for Change aims to help them do just that. Managing for Change also comes somewhat from my own observations that many of the most successful companies are those that have got in front of changing market conditions, or even changed market conditions to suit themselves – Apple being one of the best examples. To often in life we simply wait for change to happen and then react to it. Managing for Change is about getting in front of change and wielding it for your advantage. 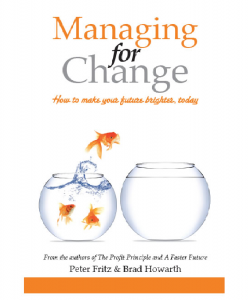 Managing for Change is available from numerous booksellers, and online from Booktopia. You can also pick up the Kindle edition from Amazon by clicking here.